OxyHeal Health Group (La Jolla, California, USA) and COMEX (Marseilles, France) announced they have entered a joint cooperation agreement. 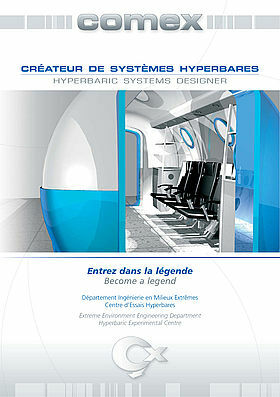 Combined, the two companies bring more than 100 years of experience in naval architecture and engineering and extreme pressure system design, including hypo- and hyperbaric environments for clinical use, for industry, for research, and for undersea and space exploration. Read the full news release on PRWeb.